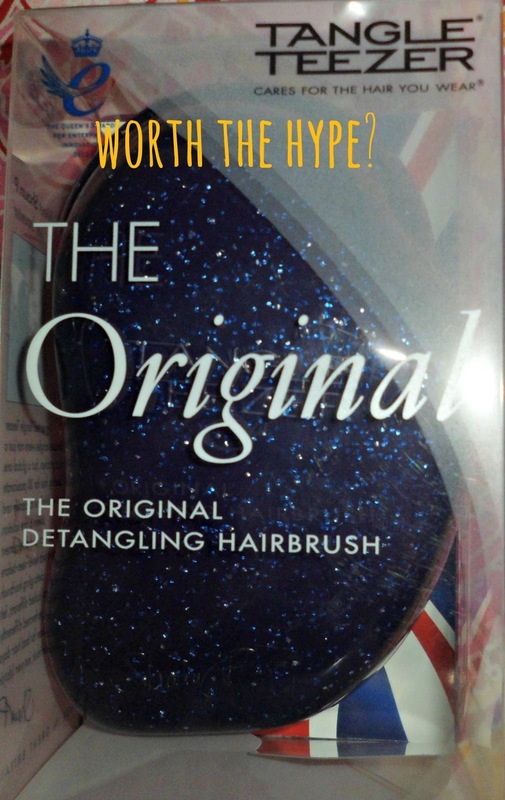 Tangle Teezer, Worth The Hype? Today I am going to be discussing whether I think the Tangle Teezer is really worth all the hype it’s given. Here’s what the Tangle Teezer website say about their product. Tangle Teezer Original professional detangling hairbrush is loved by hairdressers and used in professional hair salons. It’s a super smooth operator that works the minute hair is lathered and rinsed. Glides through wet, vulnerable and colour treated hair with no pulling, tugging or yanking. Hair peace at last! I picked up mine in Boots for £10.99. You might think this is a tad on the pricey side, but is it worth it? Yes. A million times yes!! I love this brush! I have quite long hair and I used to notice that everytime I brushed it, a substantial amount of hair fell out with the brush! Also everytime I got out of the shower my hair used to be so tangly!! You can see that there are a mixture of long and short bristles, which is different to any hairbrush I own. I like that this is so easy to hold, and so gentle! Another thing that is great about it, is that if you wear your hair up alot and want to smooth it down, you can do that with this brush and it wont ruin your hairstyle. It’s painfree as well, so you dont find yourself dreading brushing your hair. Strangely, this is also quite good at creating volume in your hair. If you backcomb your hair at the roots a little bit, then it creates lot of volume! Overall I do really like this brush a lot. Do you really need it? I don’t think if you have really short hair that this brush would make a whole of a lot of difference, but if you have long tangley hair, then I would say it’s worth a try! I think it’s worth a try for anyone who struggles with tangley hair. I think this brush has saved my hair (cringe) and it certainly has helped with breakages! You can buy the Tangle Teezer for £10.99 at Boots, but I’m sure you can find one cheaper online. Previous Post Dainty Doll Blushes Haul!